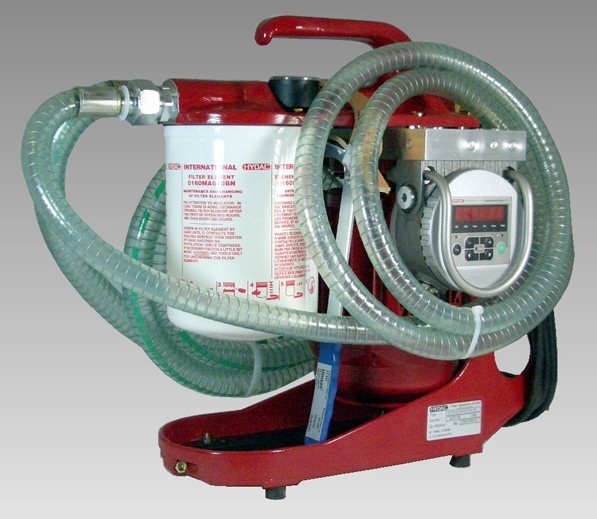 The OF7 is designed as a portable service unit for filling hydraulic systems, flushing small hydraulic systems and for offline filtration. 15LPM, 12V to 240V, to 3 micron. Removes particles and impurities in oil. Flow rates of up to 30LPM. Self-priming volumetric vane pump with bypass. 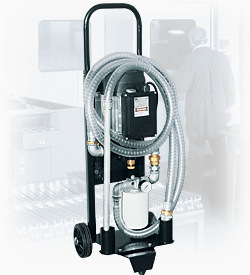 Trico’s High-Viscosity Gear and Lube Oil Portable Filter Cart System is specifically designed for high-viscosity fluids associated mainly with gear oils and can filter oils up to 1600 cSt @ 40ºC. Can remove water and particles up to 3 micron.